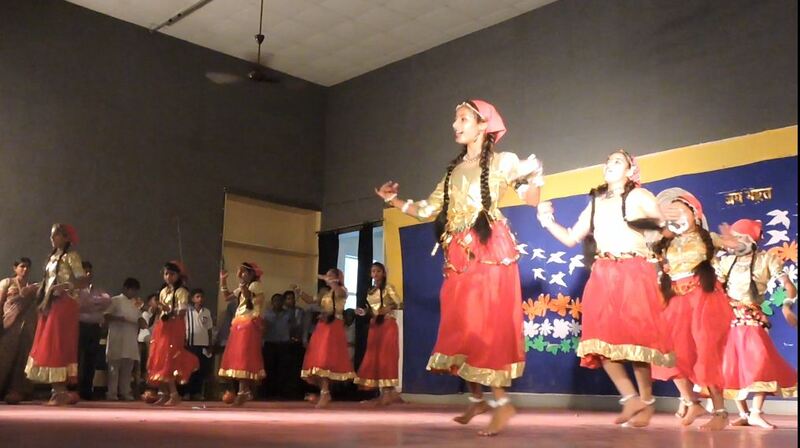 The school promotes holistic growth by offering avenues to enhance the fine arts skills of students. The School is an active member of the SPICMACAY which believes that there is a great deal of learning and inspiration in the heritage and arts of the world. SPICMACAY seeks to transmit this to the youth through various activities, all involving contact and interactions with great artistes, artisans, thinkers and poets of our land. A few of the personalities to have visited the school under this program are Bharat Ratna Late Ustad Bismillah Khan, Padma Shri Sonal Mansingh, Nadaswaram exponent Late Ustad Chinna Maulana, Dagar Bandhu, Padma Shri Tijan Bai, Pt Shiv Kumar Sharma, Pt Lachhu Maharaj, Kabirpanthi Bharahi Bandhu, Dr. Geeta Chandran, Ms. Kavita Sharma and Pt Vishwa Mohan Bhatt and many more.